There's a new kind of sheriff in town. AnBot—a black and white, 149 centimeters (59 in) tall, 78-kilogram (172-pound) security robot that looks like a more efficient R2D2, and a less threatening Dalek—is now patrolling a railway station in China. This robot, the AnBot, is equipped with a system of four high-definition digital cameras that allow it to move around safely and independently at 18 kilometers per hour (11 mph). The AnBot is designed to help assist passengers passing through the Zhengzhou East Railway Station. Deployed February 17, 2016, the machine can aid commuters in the station, respond to questions, scan, as well as identify faces, and if deemed necessary, pass these images on to security. The machine’s sensors also allow it to keep track of air quality and changes in temperature. At night, the AnBot can reliably guard the station and alert authorities to possible emergencies, like fires, and recharge itself autonomously. 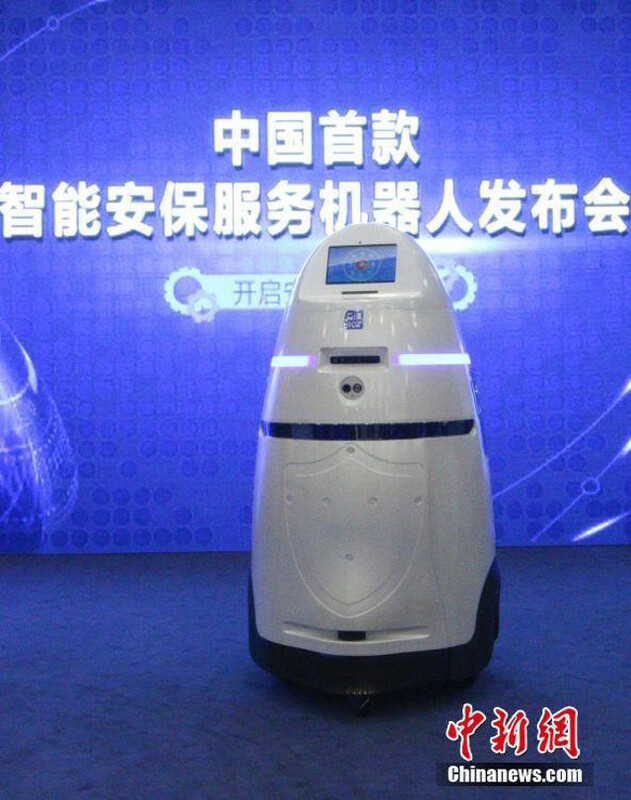 Developed by the National Defense University, the AnBot was first introduced early in 2016 and was the first security robot to roam the halls of China’s Shenzhen airport, then primarily used for its facial recognition capabilities. Its deployment at the Zhengzhou East station makes it the first security robot to patrol a railway station in China. This development begs the question: will the progression of robots in public spaces make us safer, or just take existing jobs?